*LEATHER*, INCLUDES WARRANTY, HEATED SEATS, *SUNROOF*, *NAVIGATION *, *ONE OWNER*, *LOCAL TRADE*, 4-Wheel Disc Brakes, ABS brakes, Adaptive Cruise Control & Fwd Collision Warning, Ambient Lighting, Auto-Dimming Driver's Sideview Mirror, Automatic temperature control, BLIS Blind Spot Information System, BLIS Plus Inflatable Rear Safety Belts Package, Dual 2nd Row Smart Charging USB, Equipment Group 401A, Front 180 Degree Camera w/Washer, Hands-Free Liftgate, Heated Steering Wheel, Inflatable Rear Seatbelts, Memory Feature, Perf Leather-Trimmed Heated/Cooled Bucket Seats, Power Adjustable Pedals, Power Converter 110V Outlet, Power Folding Sideview Mirrors w/Autofold, Power Tilt/Telescoping Steering Wheel, Steering wheel mounted audio controls, Twin Panel Moonroof, Universal Garage Door Opener, Voice-Activated Navigation System. * 2016 KBB.com Best Buy Awards Finalist * 2016 KBB.com 5-Year Cost to Own Awards * 2016 KBB.com Brand Image Awards Call us directly at (703) 777-0000 to confirm availability! Jerry's Leesburg Ford is located at 847 East Market Street, Leesburg, Virginia. If you have any questions, please contact us directly and we'll be glad to help! Our sales department is open 7 days a week: M-F 9AM-9PM, Sat 9AM-6PM, Sun 11AM-5PM. Jerry's Leesburg Ford is a full-service Ford Dealership. 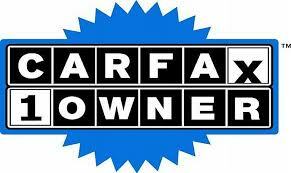 Ford Sales, Ford Finance, and Ford Service conveniently located in the town of Leesburg, Virginia. Some pre-owned vehicles offered for sale; may be subject to recalls for defects, from the specific manufacturer of the vehicle, which could cause serious injury.